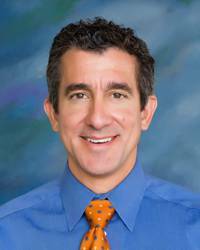 Ken Domuczicz, MD, MPH is the medical director at Five Star ER’s South Austin location. Dr. Domuczicz served at Seton Medical Center Austin and Seton Northwest Hospital from 2003 to 2015, and has also worked at USACS facilities in Bryan and Seguin, TX. He has served as Trauma Medical Director and on the Ambulatory Medicine Peer Review Council at SMCA, and on the Peer Review Council at Seton Northwest. In addition, he has served as an expert panelist liaison for the Texas Medical Board. A board-certified emergency physician, Dr. Domuczicz grew up in Massachusetts and completed his undergraduate degree in Spanish and Biology from Washington University in St. Louis. He earned his masters of public health and medical degree from Tufts University School of Medicine in Boston and completed his emergency medicine residency at the University of Cincinnati College of Medicine. Dr. Domuczicz and his family love to travel and spend time on the lake boating, swimming, fishing and having s’mores by the fire at night. He enjoys volunteering and has travelled twice to Honduras to work on medical missions.